This book grows out of the conviction that, as the author says, "it is necessary to think about forgiveness not in spite of Auschwitz but because of Auschwitz." Drawing on the Bible and church history, Geiko M ller-Fahrenholz shows how the idea of forgiveness has been distorted, abused and largely lost, and why it is so important to reclaim this healing art, not only in personal relations but especially in the relations between nations and peoples. He devotes one chapter to a careful analysis of the work of the Truth and Reconciliation Commission set up after the end of apartheid in South Africa, and its relevance to many other situations of deeply rooted hostility and conflict in the world today. Feminist and womanist theology has reoriented an entire way of understanding our relationships to one another, to creation, and to God. Feminist social theory has reshaped education, psychotherapy, leadership, decision-making, collaborative work, and family life. Little has been done, however, to bring these fields together to enrich the theory, theology, and practice of ministry. This book brings together the best in feminist and womanist scholarship that deals with the work of ministry in a one-volume format. 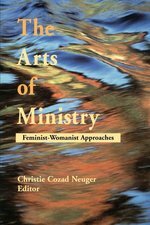 It offers the most relevant, effective, and transformative approaches to ministry as it develops a feminist and womanist practical theology. The Fund for Theological Education (FTE) annually invites our nation's premier preachers to address a group of young adults who are considering a vocation in pastoral ministry. As part of the FTE's honoring of their outgoing president, Dr. James Waits, for his remarkable service, they have collected these superb sermons. These eight sermons on vocation offer an important resource for high school and college students making vocational decisions, for older adults considering vocational changes, and for all who teach and mentor in the area of vocational discernment and who help others sort out a commitment to professional ministry. The purpose of the Ministry Conference, and the sermons delivered at the event, intersects well with Abingdon's mission to help form pastors who will serve the church faithfully and effectively. The preachers are highly recognizable and respected individuals who will serve as trusted and wise guides for discerning a ministry vocation. They include Fred Craddock, Walter Brueggemann, Tom Long, Barbara Brown Taylor, and Brad Braxton. 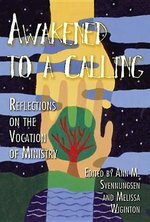 The volume includes an annotated bibliography of publications on ministry as a vocation, and a foreword by Dr. James T. Laney, former Ambassador to South Korea, President of Emory University, and Dean of Candler School of Theology. He is currently a faculty member of Emory's Center for Ethics. He chairs the United Board for Christian Higher Education in Asia, is a trustee of the Henry Luce Foundation, and chairs (with Andrew Young) The Faith and The City Program in Atlanta. 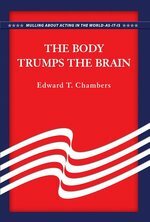 This book challenges Christians to think. Committed lay Christians, says Cobb, are already theologians; he wants them to realize this and then to become good theologians. Laypersons are just as capable as professional theologians of intellectual hard work, but they no longer expect the church to ask this of them. Cobb discusses why it is important for Christians to think about their own beliefs and assumptions. He encourages readers to find and become conversation partners. He also suggests steps a Christian's thinking may take; sources the individual can draw on, including how professionals can help; and where this thinking may lead. Cobb asserts that if there is a renewal of thinking in the church, there will be church renewal. The goal is to focus and sharpen one's thinking so that it is one's own, and to apply that thinking to one's being and acting. Each chapter ends with a section "Doing Your Theology" which is a list of questions for reflection and discussion. To John Buchanan, mainline churches have an obligation to be in the world, and their effectiveness requires that they not abandon their traditions. Churches need to steer a course that allows them to maintain a singular way in the world and to creatively respond to questions of meaning, hope, vocation, and values. In this book, Buchanan explores the specific ways the church intersects with community life. He vigorously affirms the Reformed tradition's unique strength and heritage, as well as its ongoing relevance in today's world. Lloyd Rediger is a uniquely qualified national expert on all these questions with a strong message for clergy about their sexuality, spirituality, and behavior. In this timely volume, which incorporates material from his earlier volume Ministry and Sexuality, Rediger brings his extensive research, clinical experience, and theological insights to bear on the topic. He offers a comprehensive, authoritative account of clergy sexuality and sexual ethics with up-to-date legal information; helpful research on ethnic, gender, and denominational factors; a religious and moral framework for understanding clergy sexuality; and analysis of the sexual problems encountered by clergy. This volume could well become the standard pro-fessional resource for clergy in a new era of increased accountability and moral reflection. 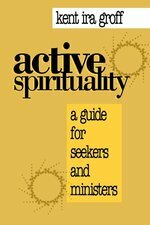 - Astute explication of where we are now, why the "Standard Model" is breaking down, and new models available to us - Opportunity to participate in a "Future of the Book" online experiment Bivocational: Returning to the Roots of Ministry offers one answer to the pressing question of the future of congregational life in the mainline Protestant Church. The contention of the book is that the model of professional ministry we have received from the past century of congregational life is imposing unsustainable costs on most congregations and parishes. In consequence, these faith communities face stark choices for which there are no self-evident answers. Shall we close? Shall we merge with another congregation--a decision shaped by a primary value on maintaining a full-time professional in the role of ordained minister? Can we find someone who will do the job part-time? What will it mean for them--and for us? Bivocational explores the impact on the ministry, on congregations, and on denominational polities of encouraging a way forward--one in which bivocational ordained professionals, ministers working simultaneously in the church and in secular life, come to leadership positions in the church. It explores the different sorts of gifts and preparation such ordained ministers need, and how a bivocational ethos looks when it characterizes not only the ordained minister, but all ministers of the congregation--lay and ordained alike. The first in Ed Chambers' "mullings" about the "world-as-it-is," this book addresses what is important for people trying to do "public life." 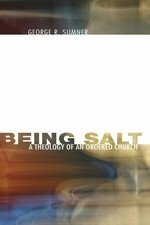 In Bound Together, Bos articulates the theological warrants for ecumenical and interfaith ministry at a local level. He shows how neighboring congregations of various denominations or faiths, simply by virtue of their common relationship to a surrounding community, have a theological connection that can cooperatively undergird joint ministry ventures. Bos explores the biblical, historical, and ecclesiological roots of community ministry to show how congregations or denominations of the same or different faiths can combine their resources and design a common strategy or program in response to needs and assets of their particular community. To demonstrate, he takes a close look at both the African American denominations and the theology of the laity movement--two important theological resources for preserving the covenant theme of civic engagement and responsibility. What results is a unique resource that addresses the intrinsic relationship between social justice issues and local faith and ecumenical community building. Integrating one's spirituality, knowledge, and practice is often a lifetime project. Yet many of us--if we accomplish it at all--do so in a haphazard manner. One might say that the process of sanctification aims toward a similar goal of wholeness. Giving people theological tools and ways to facilitate such integration is a worthy goal. Helping pastors, who often take the lead in facilitating other people's journeys, makes even more sense. For Charles Scalise integration is the goal: wisdom is the means; and authentic Christian practice of ministry is the result. He acknowledges various models exist to accomplish the task of integration, but each has necessary limits. Theological models of integration currently in use today are the correlational, contextual, narrative, performance, and regulative models. In order to guide the pilgrim toward authentic Christian practices of ministry, Scalise argues for "wise eclecticism." The book enables the reader to explore possibilities for his/her own tailor-made approaches to ministry, balancing the strengths and weaknesses of various models rather than relying solely upon one type or no type. By using a tailor-made approach, the minister is more effective in addressing the ever-changing needs of his or her world. The author's academic contribution lies in the fact that he takes the seminal work of practical theologians Don Browning and Donald Capps as well as pastoral theologian Charles Gerkin one step further. 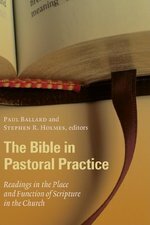 Scalise constructs an "overview of theological models specifically aimed toward the question of the relationship between the seminary classroom and ministry or toward the connections between constructive and pastoral theology." (Bonnie Miller-McLemore in Reader report). 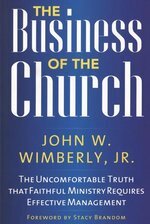 Pastors are called to be not only leaders with vision, but also managers of congregational systems, says John Wimberly in The Business of the Church. Drawing on his thirty-six years in ordained ministry, Wimberly weaves the realities of congregational dynamics and faith-centered purpose together with practical, proven approaches to business management. A student and friend of Rabbi Edwin Friedman, Wimberly builds on Friedman's systems theory as he helps readers avoid common pitfalls and put into practice effective techniques of congregational management. The book begins with a foundational discussion of how a systems approach helps congregational managers identify areas of dysfunction and effective solutions. Managing the critical 'inputs' of people, facilities, and finances has a direct bearing on the desired 'outputs' of proclamation, pastoral care, and mission. A strategic plan, through which a congregation sets its goals and identifies and prioritizes resources, is an essential management tool for both pastors and lay leaders. The author's conversational writing style and many real-life examples make a seemingly complicated, mysterious topic for some an engaging and easily applicable read. 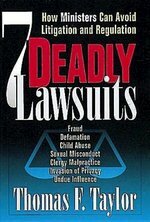 Here are over 50 case studies of real clergy/church crises, problems, and legal issues. Each one provides background, description, analysis, and an evaluation suggesting how it might have been handled differently. Bacher and Inskeep believe that mainline denominations serve as caretakers of the important American expressions of Christianity, and if they are weak or lost, society and the universal church will be the worse for it. They argue that a fundamentally American form of mainline denominationalism can and will endure, despite the rumor of its decline. 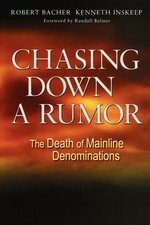 The authors examine six "rumors" of the decline. Using historical trends and current statistical information, they analyze the current situation and point to vital lessons, potential problems, and key challenges. They also offer helpful strategies and provide examples of what denominations are doing that show potential. 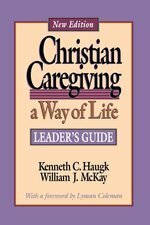 This complete leader's guide makes it easy to use Dr. Haugk's practical book to build community and train church members in distinctively Christian caring and relating skills. This comprehensive guide, from two experienced and thoughtful churchmen, treats each aspect of congregational governane as a sacred calling with an overriding religious mission.